First up, Climactic is going for an Australian Podcast Award, and if we're to have a hope of winning, we need your vote! We have a guide on how to vote for us, and a link to vote, right here. Now, this episode is a dream come true for the team. One of the reasons behind Climactic is to give environmental groups a platform in the podcasting space to get comfortable telling their story. Stop Adani Gold Coast took that opportunity, seized it really, and made an amazing story. This episode really shows what it's like to be the humans behind a chapter of an activist network like Stop Adani. You'll hear their backgrounds, motivations, inspirations, fears, and hopes. It's a unifying, enlightening, heartening story, and we hope you enjoy it as much as we do. You can help us find other groups with a story to tell. We'd love to help them tell it. 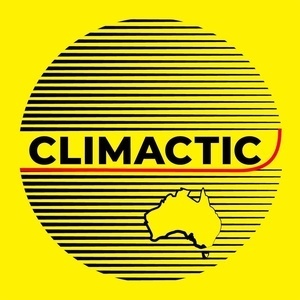 Just get in touch at hello@climactic.fm or on Facebook/Twitter/Instagram. Stop Adani spells it out for politicians - Blank Gold Coast — Locally, there’s a growing movement of Gold Coasters who are joining the campaign to stop fossil fuel giant Adani from building the largest coal mine in the southern hemisphere right on the edge of the Great Barrier Reef. Gold Coast activists have Ciobo's EFIC fail in their sights - Blank Gold Coast — A passionate group of Gold Coasters is adding its voice to a national movement calling for governments to Stop Adani.